What Makes Omega Cure the Freshest Fish Oil? It’s no secret that many omega-3 fish oils on the market are rancid. Several independent studies have found that the majority of surveyed omega-3 products have a peroxide value above 5 mEq/kg — the limit of what’s considered “fresh” — long before the official expiration date. And as numerous scientists have discussed, such high oxidation values are concerning from both a safety and efficacy perspective. Omega Cure®, the fresh fish oil we use in all of our Omega3 Innovations products, typically has a peroxide value between 0.1 – 0.3 mEq/kg at the time of bottling and shipping, which explains why the oil has no fishy taste or smell. But how are we able to make an oil that’s so superior in the freshness department? It comes down to a variety of oxidation-preventing techniques. What Does It Mean for a Fish Oil to Be ‘Fresh’? Before we launch into a longer discussion of freshness-preserving tactics, it’s important to define what we mean by freshness. In the world of omega-3 oils, the quality and freshness level of an oil is something you can measure and discuss by looking at the product’s oxidation values, better known as the peroxide, anisidine, and TOTOX numbers. Peroxide, anisidine and TOTOX numbers tell you how far oxidation has progressed. As a rule of thumb, the lower these numbers are, the better and more stable the oil is. If an oil has high oxidation values, it indicates that the oil has already turned rancid. You can typically taste and smell if an omega-3 oil has turned rancid, or gone ‘off’, just like you would with fish. If it tastes and smells fishy, that’s a pretty good sign. It is at the earliest stages of production that the future quality of a fish oil is decided. If you don’t control oxidation initially, the oil will only continue to degrade with time. In addition, it will be more vulnerable during the rest of the production process. Now, most fish oils come from a variety of small fish, like sardines, anchovies, herring, and small mackerel fished off the coast of South America. These fish are harvested with the main goal of creating fishmeal, a popular source of protein fed to farmed fish and animals. Because the industry regards the oil as secondary to the fish protein, the manufacturing process is generally not optimized to preserve the quality of the fish oil. Furthermore, to extract the oil, the minced fish meat has to be boiled to separate the oil from the solids, during which time the oil gets exposed to pro-oxidizing iron and other enzymes in the blood and proteins. 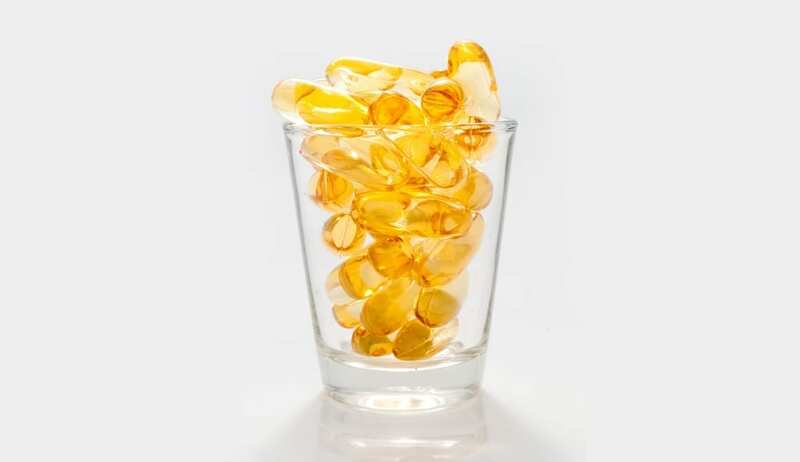 There are measures to reduce the peroxide values of the resulting omega-3 oil. But the initial harsh treatment helps explain why many fish oils develop high oxidation values long before they reach the consumer. With Omega Cure, we are fastidious about getting the finest raw material to ensure low oxidation levels at the outset. Omega Cure comes from wild cod harvested off the coast of Norway. Since these fish and their livers are all destined for human consumption, the quality control is very high, with a great attention to the speed of the catch and the preservation of the livers. All of these factors are important for helping preserve freshness. As a cod liver oil, Omega Cure also has another freshness advantage compared to typical fish oils. Now the types of fish typically used for making fish oil — sardines, herring, small mackerel, and even salmon — store their omega-3s throughout the body. While this feature makes these kinds of fish particularly nutritious to eat, it also means there is no easy way to extract the oil without exposing it to lots of pro-oxidizing blood and enzymes. The cod on the other hand stores the majority of its omega-3-rich oil in the liver. The liver in turn protects the oil by housing it in micelles — simple cell-like structures that insulate the oil and shield it from oxidative stress. As long as the liver is not crushed or squeezed, the oil is protected as well as it would be in the live cod. When the livers are finally ready for processing, only low temperatures and gentle, mechanical treatment are necessary to extract the oil. This origin story explains how Omega Cure can be produced with almost zero oxidation. Then, after the raw oil is created, we harness the opportunity by using a proprietary, state-of-the-art processing technique to purify the oil with minimal exposure to heat. We have always been big proponents of using a liquid fish oil. Liquids make it easier to get an effective omega-3 dose without swallowing lots of pills and are likely more beneficial from a bioavailability standpoint. In addition, liquids can also help on the freshness front. Some people have the impression that the gelatin capsule helps protect the oil inside from oxidation; however, nothing could be further from the truth. If an omega-3 oil is not encapsulated properly, the oil is at risk of being exposed to heat and oxygen during the encapsulation process. And indeed, many softgel manufacturers do not use controlled conditions to limit oxidation. 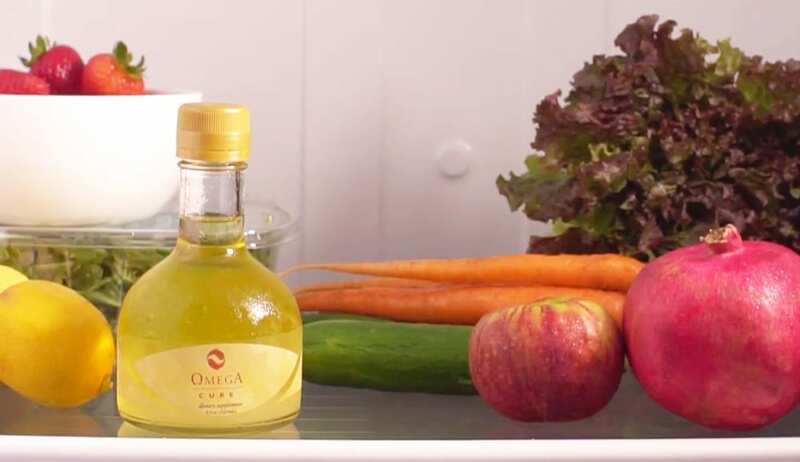 With Omega Cure, we spare the oil of encapsulation, letting you freely taste the quality you are getting. And since we package Omega Cure in inert glass bottles that provide a complete oxygen barrier, we are able to further protect the oil. We choose not to make fish oil capsules for dose, bioavailability and freshness reasons. Omega-3 manufacturers use several other tactics to help maintain freshness: Adding antioxidants during processing and to the finished product is one common way to preserve the quality of the oil. Fish oils are also frequently bottled or packaged in nitrogen-flushed containers to help remove oxygen. At Omega3 Innovations, we employ both of those techniques with our products. In addition, we also store our products cold. The cold temperatures help increase shelf life, although the oil is able to sustain short-term exposure to warmer temperatures without issues if no oxygen is present. There’s also another important factor to note: The short time from the day the oil is bottled to the time it reaches the consumer. Why does this matter? All omega-3 products, just like fruits or vegetables or fish, will degrade with time. 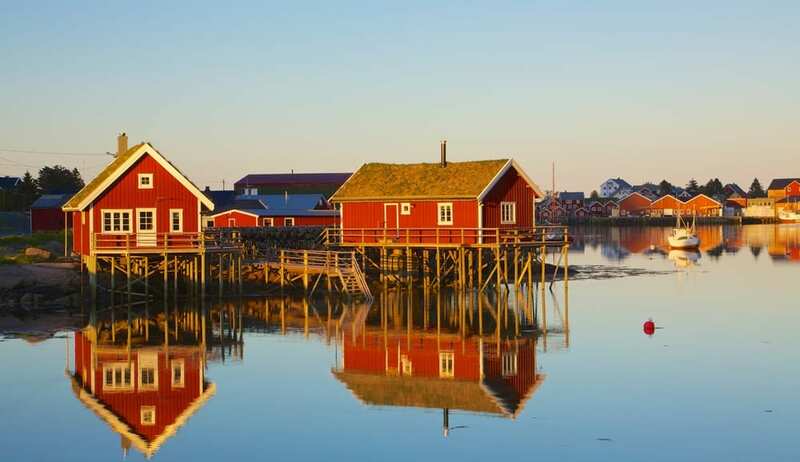 We receive fresh Omega Cure from Norway every 3 – 4 weeks by air, directly from deep frozen storage, and we continuously bottle, shipping product to our customers quickly thereafter. 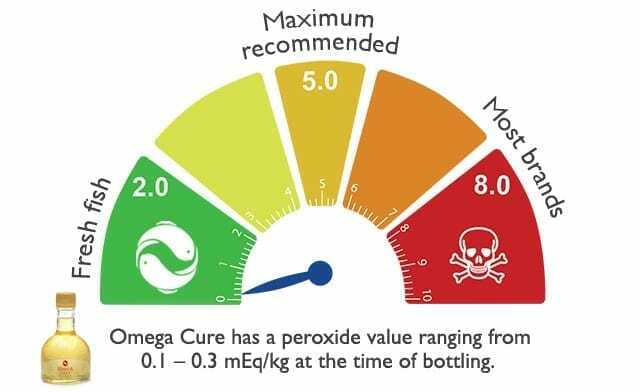 You can always tell when Omega Cure was bottled by checking the production date listed on the sticker of your bottle or box. While constantly rotating stock can occasionally be tricky to navigate from a production standpoint, it does prevent the finished product from getting old, unlike many omega-3 supplements that sit in storage for months or years on end before being purchased. We care about freshness for several reasons. First and foremost, freshness is crucial for you to have a pleasant-tasting omega-3 experience, which is in turn essential for getting an effective dose. If you have to swallow umpteen fish oil capsules, or drink fishy-tasting oil, chances are you will never take enough to make a measurable difference. Secondly, we believe that freshness contributes to Omega Cure’s potency, along with several other factors, like its full-spectrum quality and 1:1 EPA/DHA ratio. And finally, we care about freshness for safety reasons too. Studies show that excessively rancid oil may contribute to health issues like arteriosclerosis, high cholesterol levels and even Alzheimer’s. You want the best for your body, and that’s why we put so much love and care into creating our unique oil. You can learn more about how Omega Cure is made here. Have the auto shipment. Researched all omega’s and this is the best. Thank you Carmen! We appreciate your kind words and are glad to hear you are doing well on the Omega Cure.